Things are moving fast in the NGC Idea Garden! Irma the Gator’s Everglades Environment is heading towards completion. 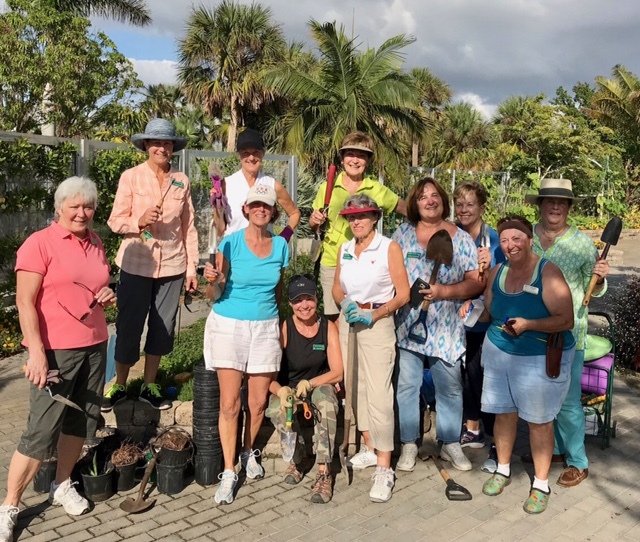 An intrepid team of club members with trowels and shovels in hand headed into the Idea Garden just before Christmas to settle into place a large variety of mostly native plants generously supplied by NBG. There will be some exciting and colorful additions coming soon but you might want to see what has been accomplished so far. The Ideas a’la Cart Pop-Up program has also had it’s ‘maiden voyage’ when Sandy Lasch and team presented A Christmas Ornament from Pinecones and Succulents. 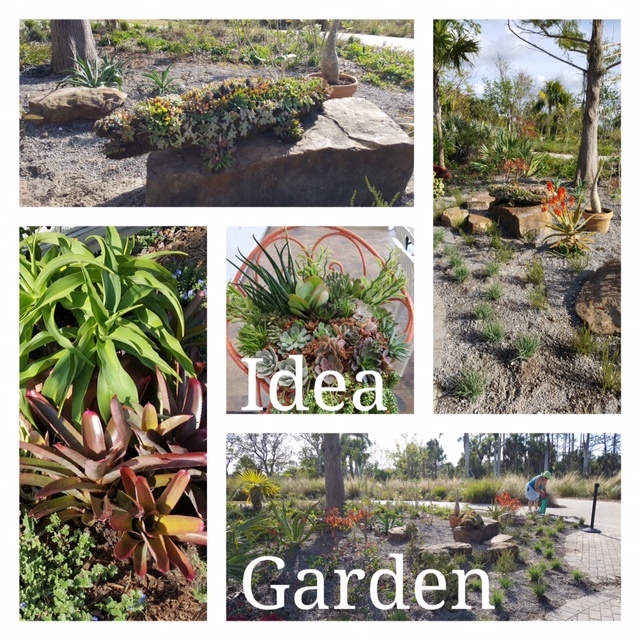 Please watch for the January programs, ”Succulents-Creative Coastal Themed Designs” demonstrated by Julie Peterson, Mary Raymond & Jill Chamberlain, on January 10th and on January 24th, Lindsey Clark and Marina Miller will discuss “Pollinators-Bees, Butterflies & Hummingbirds”. You can find more information on the club calendar.